The Truth Heads to D.C. The Truth is coming to the nation’s capitol. Paul Pierce picked his destination for the 2014-15 season on Saturday, and he’ll be joining one of the Eastern Conference’s top young rosters: the Washington Wizards. Paul announced his choice via a tweet early Sunday morning, priming president Barack Obama and Wiz point guard John Wall for his impending arrival. Wall promptly shared his excitement with The Truth’s decision. 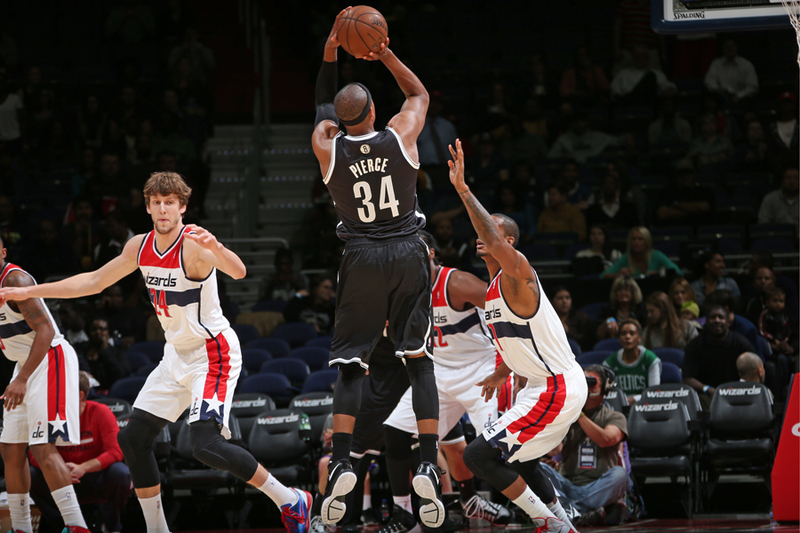 Welcome the truth @paulpierce34 to Dc…#wizkids !! Paul averaged 13.5 points, 2.4 assists and 4.6 boards per game last year while guiding the Brooklyn Nets to the second round of the playoffs, where they were eliminated following consecutive heartbreaking losses to the eventual conference champion Miami Heat. Prior to that, No. 34 spent 15 seasons with the Boston Celtics, where he won an NBA title in 2008, was named NBA Finals MVP and made 10 All-Star rosters. The former Kansas Jayhawk will join a Wizards squad that is led by a pair of burgeoning young guards: Wall and Bradley Beal. Wall averaged 19.3 points, 8.8 assists and 4.1 rebounds per game last year, while Beal added 17.1 points, 3.3 dimes and 3.7 boards. Paul will likely be leaned on to fill in, at least in part, for the departed Trevor Ariza. The swingman averaged 14.4 points and 6.2 boards for Washington last year, but the Wizards sent him to the Houston Rockets in a sign-and-trade deal. Washington finished the regular season 44-38, earning the fifth seed in the East, just ahead of the Nets. The Wizards were eliminated in six games by the Indiana Pacers in the conference semifinals. Paul was able to keep an eye on the budding Wizards from across the league, as they completed a season sweep and beat out his Nets for the No. 5 seed.